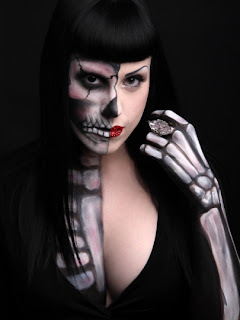 KAT VON PIRE | Make-Up Artist: SPF: What You Need To Know! When it comes to tanning and achieving that beach bronze goddess look, I'm unlike most other gals. I'm pale. Like MUFE HD Foundation #115 pale. And I like to stay that way. I'm a natural redhead (shhh, it's a secret!) so really I'll just freckle and burst into flames with prolonged sun exposure. I go to extreme measures to stay sun safe, from wearing long sleeves in the middle of a heatwave, to layering high SPFs, to wearing hats and hiding in even the tiniest patch of shade. Pale or not, we all need to know our sunscreens! Last summer the Food & Drug Administration issued new regulations on how sun protection products are marketed and labeled. This is good news, but the changes aren't scheduled to come into effect until December of this year. So there's a few things you -need- to know in the meantime. The SPF (or sun protection factor) currently only measures the UVB protection. UVB rays are what causes sunburns, but UVA exposure leads to skin cancer and premature aging! For a sunscreen to protect you from both it needs to say "broad spectrum" on the label, but currently there's no testing or regulations on the use of those two little words. Under the new regulations, the FDA will require labels to state the level of protection for both UVA and UVB rays. My beloved SPF 110 will cease to exist as well. Well, not really, but it will have to be relabeled as SPF 50+. The theory behind this move is that higher SPFs give a false sense of security. More often than not, those that use high SPF spend more time in the sun and reapply less often leading to more UV ray exposure. There also isn't enough evidence to confirm that an SPF of 100 vs. a 50 provides any actual additional protection. You won't be able to find water-proof or sweat-proof sunscreens under the new regulations. Instead you'll find labels boasting "water-resistant" and the labels must indicate how often the product needs to be applied to be effective in wet conditions. Sunscreen in the form of sprays, wipes, and powder is also undergoing some close scrutiny by the FDA to assure they maintain the same protection as their cream & lotion counterparts. It's also very easy to not put enough sunscreen on with these types. So next time you're shopping for sunscreen, make sure you pick up a brand with an SPF of at least 30 that states "broad spectrum". But don't stop there and think you're covered. You have to make sure you use it properly. Sunscreen needs to be reapplied, it does not last the whole day with one application and it needs to be applied in the correct amount. That SPF 15 in your foundation isn't really protecting your face if you're not wearing at least half to a full teaspoon of it. No one wears that much foundation! So make sure you're also using an SPF under or over it. I currently use Mario Badescu's Suncare SPF 30 moisturizer under my foundation. You can also up your odds by touching up your foundation throughout the day with a mineral powder containing a natural SPF, like Jane Iredale's PurePressed Base SPF 20. If you're rocking an itty bitty bikini to the beach, you need 1 to 2 shot glasses worth of sunscreen, depending on your size. That's a lot. And you need to reapply it after swimming, sweating or at least every couple of hours. This is why you won't find me at the beach. A word to the darker skinned gals or those that claim they don't burn, that doesn't mean you can skip the SPF! The burn causing UVB rays may not be roasting you, but the UVA rays are still having an effect that can lead to cancers and premature aging down the road.